Don’t quit now! This is where I get my fix for shakotan crestas and SSR’s with a bit of stretch..
1) Come back, refreshed and ready to post like crazy! 2) Come back, feel obliged rather than enthusiastic about posting leading to dull posts. I know which I’d prefer, because it’s always a fascinating read! Then finding the sources and others on youtube add to it, but there’s no point continuing something you’ve lost the love for. Whatever the decision – Thankyou for all the hard work on the blog thus far! Truly I hope it is not the end…but most of us are cool with you taking a break. (Your blog is unlike any other and that is why most of us who read it like it). Cheer up guy!!! 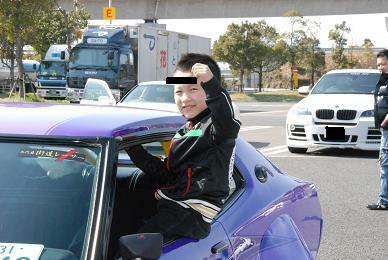 Bosozoku Style FTW. Thankyou for everything you have shared and everything I’ve learned from your blog. I really hope you do come back but if not, big love from the UK, peace. Thanks guys for the heads up! It will be a bit different than before: I’ll post stuff on the blog less often but will try to do a lot more image/video sharing on facebook. i definitely would not want to see this website go. this site was the gateway for my interest in bosozoku style cars.